The Timex Social Club is a R&B/funk music group from the Oakland/San Francisco Bay area. 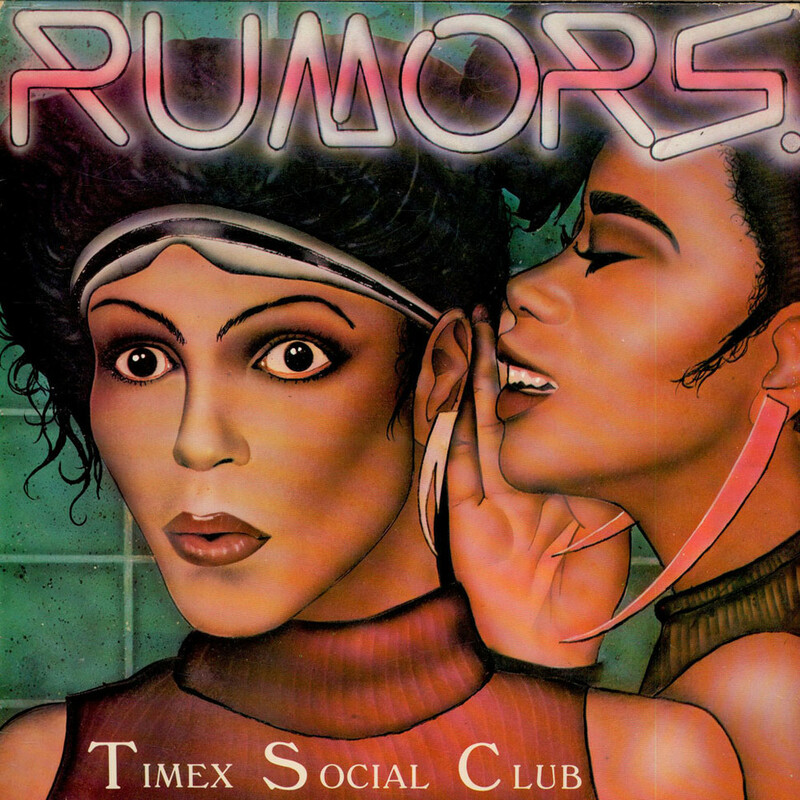 In addition to being known for their smash hit, “Rumors”, the Timex Social Club were major forerunners to the New Jack Swing movement. this style was a combination of R&B with hip hop rhythms. In 1986, the group released their debut album, Vicious Rumors. It contained the hit “Rumors”, which peaked at #8 on August 16, 1986 on the Billboard Hot 100. They released two follow-up singles, “Thinkin’ About Ya” and “Mixed-Up World“, which did not do well on the mainstream charts, but did well on the R&B charts. Question: In National Lampoon’s Vacation, how long was Wally World going to be closed? Last Question: What three colors are mentioned in the lyrics of “Karma Chameleon”? “Karma Chameleon” spent three weeks at #1 on the US Billboard Hot 100 starting on February 4, 1984, becoming the group’s biggest hit and only US #1 among their many top ten hits. The song was a huge hit across the globe, hitting #1 in sixteen countries worldwide, and top ten in several more. Boys Don’t Cry are a British group founded in 1983 by Nick Richards. They would go on to release two full-length albums: a self-titled debut in 1986, which included “I Wanna Be a Cowboy”, and a follow-up the following year titled Who the Am Dam do You Think We Am. The second album was simply released in America as Boys Don’t Cry, creating some confusion, since the band now had two consecutive self-titled albums released within a year of each other. The single “I Wanna Be a Cowboy” was released in 1986, and was a big hit, peaking at #12 on June 21, 1986. Unfortunately for the band, they could not gain any traction and deliver any more hits. On July 30, 1997, co-writers Nick Richards and Brian Chatton sued Paula Cole, Warner Brothers Records, and Imago Records, along with remix producers DJ EFX, Big Ed, and the E-Team, for $7 million in the U.S. District Court for the Central District of California, claiming that Cole’s remix of “Where Have All the Cowboys Gone?” used the phrase “I wanna be a cowboy” 24 times in the same style and syntax as their song and constituted copyright infringement. Question: What three colors are mentioned in the lyrics of “Karma Chameleon”? Last Question: In Laverne and Shirley, what brewery did Laverne and Shirley work for? 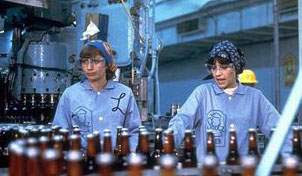 For Laverne and Shirley‘s first five seasons, from 1976 to 1980, the show was set in Milwaukee, where the girls were bottlecappers at Shotz Brewery. The brewery was based on the Schlitz Brewery. Laverne and Shirley’s basement apartment was on Knapp Street, which wasa real street near the Schlitz Brewery in Milwaukee. In the sixth season opener in 1980, the girls lost their bottlecapping jobs to new automation installed at Shotz Brewery. So they moved to Burbank and took jobs as gift-wrappers at Bardwell’s Department Store. Cindy Williams, who played Shirley, was pregnant and felt the producers were uncooperative and using her pregnancy as an excuse to ease her off the series. So she left the show and filed a lawsuit agaist Paramount Pictures. They settle out of court. So for the last season of Laverne and Shirley, there was no Shirley! The explaination on the show was that Shirley quickly fell in love and married Army medic Walter Meany (making her Shirley Feeney-Meany), and discovered one episode later that she was pregnant. She left a note to Laverne that she had left town quickly to join her husband overseas. Laverne began working in an aerospace testing facility and did not need another roommate. Sly Fox was a short-lived duo, consisting of Gary “Mudbone” Cooper, an African American funk session musician and former vocalist with Parliament-Funkadelic, and Michael Camacho, a Puerto Rican-accented vocalist. They only released one album – Let’s Go All the Way. The title track from the album turned out to be a smash hit in the U.S., peaking at #7 on April 12, 1986. Their follow-up singles, “Stay True” and “Don’t Play With Fire” did not sell very well. Since the dissolution of the band, Cooper has remained involved in the music industry. His most recent album, Fresh Mud, was a collaboration with Dave Stewart that combined blues and rap. Meanwhile, Camacho has concentrated on jazz singing, and he released his solo album Just For You. Their one hit has been a lasting impact, as it is played on retro flashback programs and 1980s nights at dance clubs. Opus is an Austrian group that formed in 1973, and is still active today. However, their song “Live Is Life” remains their best known song. The song was created during a concert in Oberwart, on September 2, 1984, while the group celebrated its eleven years of existence. “Live Is Life” topped the charts in many countries – most notably Canada where it was #1 for seven weeks in late 1985 and early 1986. In the U.S., the song peaked at #32 on March 29, 1986. The band also has had success with other songs in Austria, Germany and Switzerland. But, this was their only hit in the U.S. It did make an impact though, as the New York Islanders adopted it as their official goal song for the 2010-2011 NHL season. Question: In Laverne and Shirley, what brewery did Laverne and Shirley work for? Last Question: Who joined McDonald’s cast of characters in 1980, promoting their breakfast menu? Birdie the Early Bird was the first female McDonalds character, introduced in February 1980 to promote the company’s new breakfast items. She was often portrayed as a poor flyer, and somewhat clumsy in general. Complete the lyrics and name the original artist, as well as the artist who covered it in the ’80s.